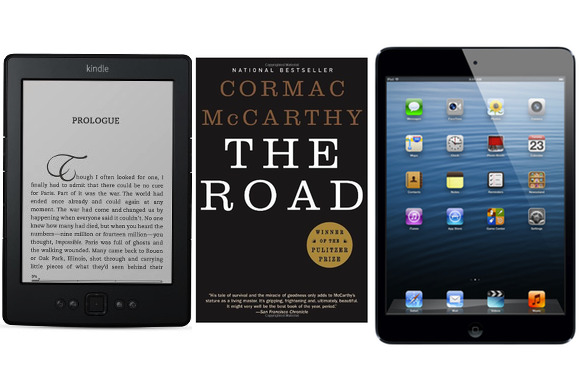 Penguin has settled with U.S. states in an e-book price-fixing lawsuit, leaving only Apple now in the fray. Four other publishers accused of price-fixing with Apple settled earlier with the 33 states and territories and the U.S. Department of Justice. Penguin had earlier settled in December with the DOJ in a case that is currently scheduled to go to trial in U.S. District Court for the Southern District of New York on June 3. Penguin said in a statement on Wednesday that it had reached an agreement with the US state attorneys general and private class plaintiffs to pay $75 million in consumer damages plus costs and fees to resolve all antitrust claims relating to e-book pricing. It also committed to the states to abide by the same injunctive relief as previously agreed in its settlement with the DOJ. Apple and the five publishers were accused of working together to raise prices of e-books, in retaliation for competitor Amazon.com pricing most e-books at $9.99 beginning in late 2007. The five publishers are Hachette Book Group, Macmillan, Penguin Group, HarperCollins Publishers and Simon & Schuster. The investigations conducted by Connecticut and Texas, and the resulting litigation, have paved the way for recovery of about $164 million for consumers nationwide to date, Connecticut attorney general George Jepsen said in a statement. The agreement with Penguin gives e-book retailers greater freedom to reduce the prices of book titles, he added. Defendants exercised their market power when they collectively increased the average price of trade e-books, DOJ said in a recent filing. Apple and the publishers are charged with promoting an agency model to sell e-books where the publisher would set the price or a price range for each e-book and the retailer, acting as an agent, would receive a commission on each e-book sale. The prevalent wholesale model generally gave retailers the flexibility to fix the prices. Apple did not enter into or facilitate a conspiracy to eliminate price competition or raise prices in the e-book industry, the company said in a recent filing. Concerned about Amazon.com's low pricing of e-books, some publishers had already considered pursuing in 2009 the agency model, and had taken measures such as "windowing," a practice of delaying e-book releases to benefit sales of hardcover editions, Apple said in a recent filing. Apple engaged in "individual, one-on-one, and at times contentious negotiations" over the draft contracts with each publisher throughout January 2010, it said in the filing, to support its claim that there had not been a conspiracy with the publishers. Penguin's settlement with the states must be approved by the federal judge in New York before it can take effect.